Dashain, also known as Bada Dashain or Vijaya Dashami is the largest and longest festival in Nepal, which is celebrated by the Hindus of Nepal or Nepalese origin all over the world. The Dashain festival lasts for full fifteen days, starting in the day of Ghatasthapana (day 1), and ends in the day of Kojagrat Purnima (day 15). The important ones being the first, seventh (Saptami), eighth (Maha Ashtami), ninth (maha nawami), tenth (Vijaya Dashami) and the fifteenth (Kojagrat Purnima), the tenth day is the most important among all, having the special value and actual meaning for the word ‘Dashain’. The Dashain festival lies in the month of Ashoj or Kartik (usually October). This festival is for the celebration of the victory of the Gods over the wicked Demons. The scriptures mention the example of lord Ram winning over Ravan and killing him, and Goddess Durga winning over the demon Mahisasur. Whatever the stories be, they symbolize the win of good over evil, and give the moral pressure for the people to be good, and that they will be destroyed in the same way as the demons, when they do or try to do the evil deeds. 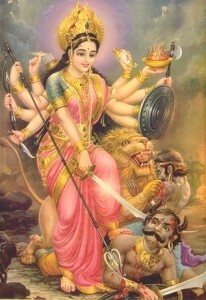 The first nine days of Dashain signify the rigorous battle between the avatars of Goddess Durga, and the Demons, the main of whom was the Mahisasur. The tenth day signify his destruction by killing, and the rest five days are for the celebration of that achievement. Among the newars in kathmandu valley, the festival is known as Mohani (festive joy) which is vastly different in significance and very rich in rituals and culture. 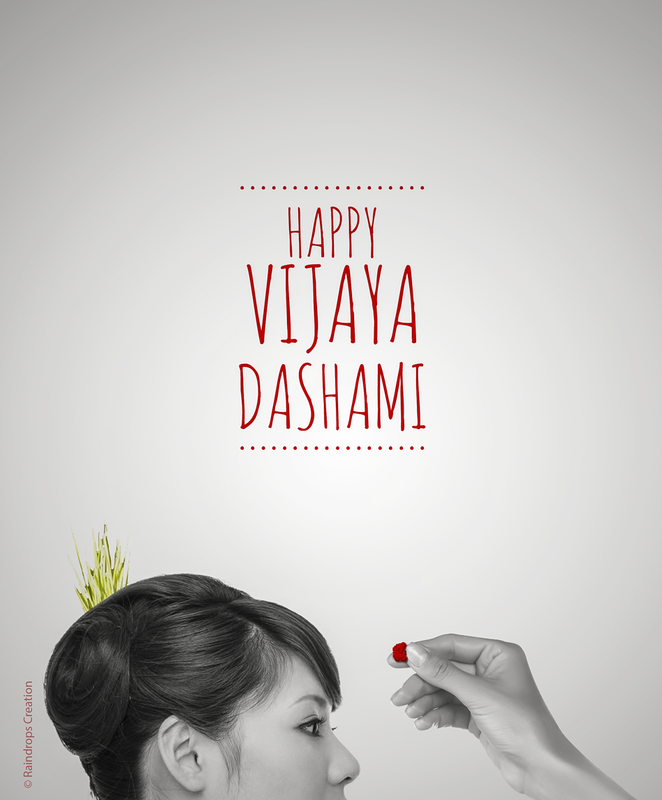 Dashain has the longest public holiday among all festivals in Nepal. All government offices, educational institutions and other offices remain closed during the festival period. This is the festival for all groups and classes of people. In this festival, people especially like to have fiestas, enjoy delicious meals, buy new clothes and decorate their houses. The arrival of Dashan is a golden time for the Businessmen. People also fly the kites, which resemble the freedom, along with the end of the nearly three months long monsoon. Flying kites has been a very important part of celebrating Dashain in the country as it is considered to be one way of reminding god not to send rain anymore. Many of the people also enjoy the long holiday by playing cards, and playing in a horizontal swing, which is usually tied in the branch of a tree. People sacrifice a lot of animals in this festival, most of which are the goats, sheep, chicken or buffaloes. The trend of sacrificing animals however, is changing towards fruits and vegetables, as the animals slaughter is nowhere mentioned in the Hindu scriptures and the animal right activists strongly condemn it. Ghatasthapana is the first day of Bada Dashain. In this day, a male family member plant the jamara in moist sand using barley seeds especially corn seeds. Traditionally as per the rituals outsiders are not allowed to enter or see the place where it is planted. By the tenth day of the festival, the seed will have grown to yellow grass, which is used with tika to bless people with lots of prosperity and happiness. The special essence of festival gets from this day. On this auspicious day, a military parade is organized at Hanuman Dhoka. The Nepal Army, Nepal Police, Civil Service, Band Music and Panchebaja also join the fulpati parade. People clean their houses and decorate their houses with flowers. The festive will be continued as Maha Ashtami. Thousands of goats, sheep, buffaloes, ducks and hens are sacrificed in Goddess Temple almost from every home. In Newar Community, Kuchi Bhoe is prepared in which ritually people should eat two pathi of beaten rice including various types of dishes in a banana leaf. The ninth day of the festival is known as Maha Nawami. Once in a year this day, the Taleju Temple gates of basantapur are opened for the general public. Thousands of devotees go and pay respect to the goddess all along the day. This day is also known as Viswakarma day. All the factories, machines including vehicles like motorbikes, cycles, cars and other household things like hammer, books, pens and pencils, etc are worshipped. The tenth day of festival is known as Vijaya Dashami or “Tika”. On this auspisous day, tika and jamara (which is sewn in the ghatasthapana) are taken from elders and blessing is received including “Dakshin” (Money). This function continues for four days till the full moon during that period, family and relatives who are apart attend to meet each other and take blessings from the elders. This is the day that helps to keep special bonding between families and relatives so it is celebrated intellectually in the society.